We sell gently used, high quality items for children sized Newborn to 6T. Bring a large shopping bag (or two!) as we only host this sale twice a year and items go quickly. We recommend getting to the sale early for the best selection. Our October sale features Fall and Winter items, and the April sale is geared towards Spring and Summer items. Pants, tops, dresses, pajamas, coats… we’ve got your family covered. Check out our wide selection of small and large toys. Something for everyone! Our strollers, exersaucers, high chairs along with seasonal items always go fast. 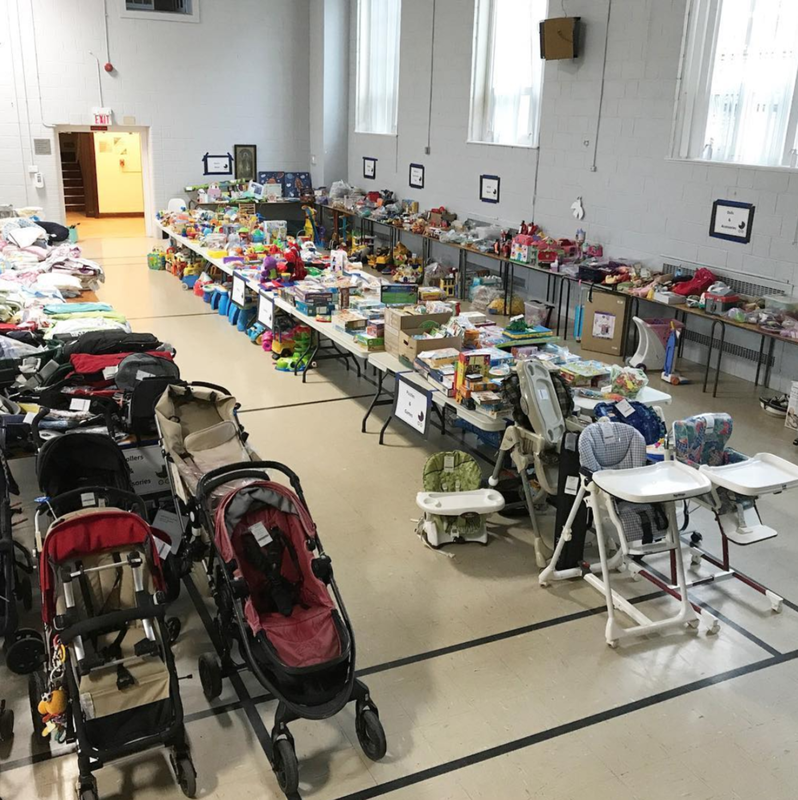 We ensure thousands of pieces of high-quality, gently used children’s clothes, toys and essentials are kept out of landfill and are instead made available to over 1000 parents annually. At the end of each sale we pull personalized packages to support families in need. Click below to learn more about the numerous charities across the GTA we support.